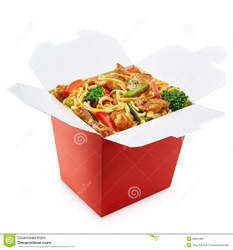 This take out container's white exterior makes it a popular addition to trendy restaurants and cafes, wedding receptions, and Chinese / Asian eateries. 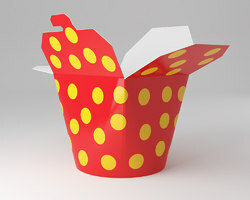 Use it for just about any of your menu items. The leak-and grease-resistant packaging keeps hot, cold, wet, or dry foods fresh from kitchen to destination. Plus, the efficient one-piece design of the package maintains freshness by retaining heat and venting steam. 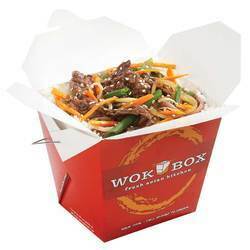 This take out container''s white exterior makes it a popular addition to trendy restaurants and cafes, wedding receptions, and Chinese / Asian eateries. 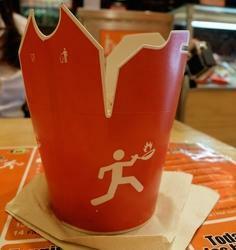 Use it for just about any of your menu items. The leak-and grease-resistant packaging keeps hot, cold, wet, or dry foods fresh from kitchen to destination. 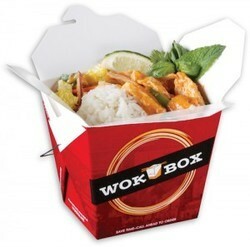 Plus, the efficient one-piece design of the package maintains freshness by retaining heat and venting steam. 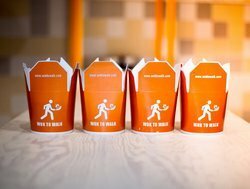 Looking for “Noodle Wok Box”?